Working out how to tell when your Jam is set can be tricky. 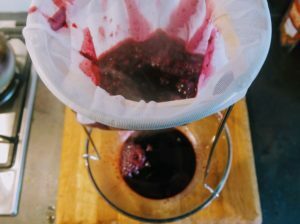 The problem is that when you are making jam or jelly you are boiling it so the consistency is completely different to what it is like when the jam cools. When the jam is hot it is less viscous and runnier than when it cools so how can we tell when a jam or jelly has reached its setting point. Luckily there are several ways to get to bottom of this problem, some very simple, some accurate but all methods work. What Makes A Jam Set? First of all, what exactly makes a jam or jelly set. We take it for granted that when heated up, fruit and sugar combine to make a semi-solid treat that is perfect for spreading on toast or scones. The key to why jams set the way they do is down to the interplay between sugar, pectin and acidity. Pectin is the key ingredient that is needed to set a jam or jelly. Jam sugar that is specially formulated for making jam usually has pectin added to make sure the jam sets. Pectin is in all fruits to varying degrees. 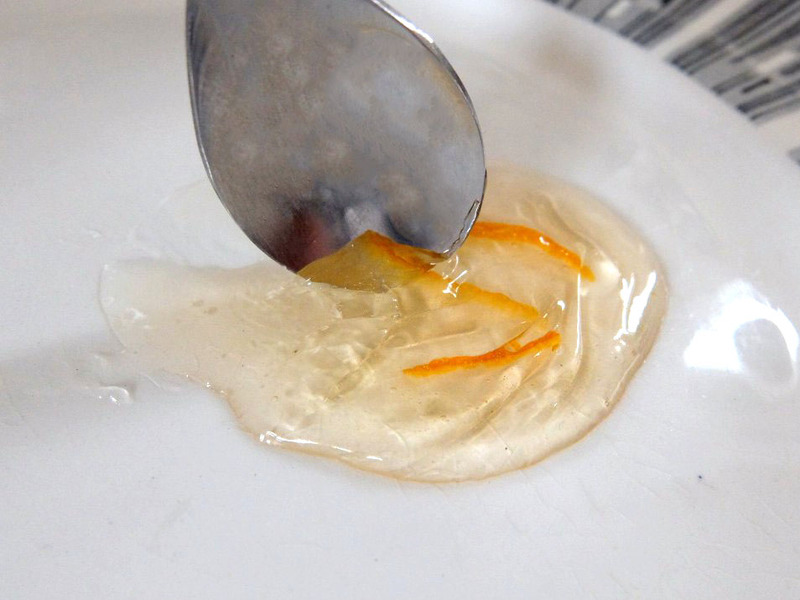 When the fruit is heated with sugar the pectin forms bonds in a web-like structure. The bonds get stronger as the water evaporates from the fruit. 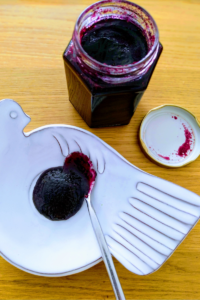 The acidity of the fruit is the next factor that helps a jam set, acids in the fruit help attract the pectin molecule to each other, helping to firm up the texture of the finished jam. A good rolling boil is needed to for a jam to reach its setting point, a poor boil will often result in a poorly set jam. Once you have reached a full rolling boil it will indicate that a lot of the water that was in the fruit will have evaporated. As the water content of the jam decreases the temperature will rise to just above 100°C / 212°F. It is at a temperature of 105°C / 221°F that the jam or jelly will reach its setting point. The setting point of a jam or jelly is 105°C / 221°F so with this information we can easily and accurately test using a thermometer. A jam or sugar thermometer is specifically designed for the purpose of checking the set point and this is usually indicated on the thermometer scale itself. However, any thermometer that is suitable for being immersed in hot liquids and can read temperature over 100°C would be suitable for the job. Most sugar thermometers have a clip that allows you to attach the thermometer to the side of the preserving pan. This means all you have to do is heat and stir until the jam reaches the setting point at 105°C / 221°F and then remove from the heat and package up the jam into jars. To check the jam setting point using the wrinkle test you will want to prepare before you start making the jam. All you will need is a few heatproof saucers or plates, place them in the freezer to get cold before making the jam. When you think the jam or jelly is just about ready, take one of the plates from the freezer and place a small spoon full of the jam on the plate, leave it to cool for a few minutes on the plate before giving the jam a small poke. If there is surface tension and the jam wrinkles on the surface you have reached the jam set point. 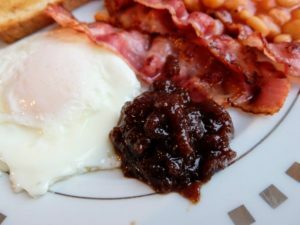 If the jam is still runny or there is still liquid then you will need to return the jam to the heat for an additional 5 – 10 minutes before testing again. 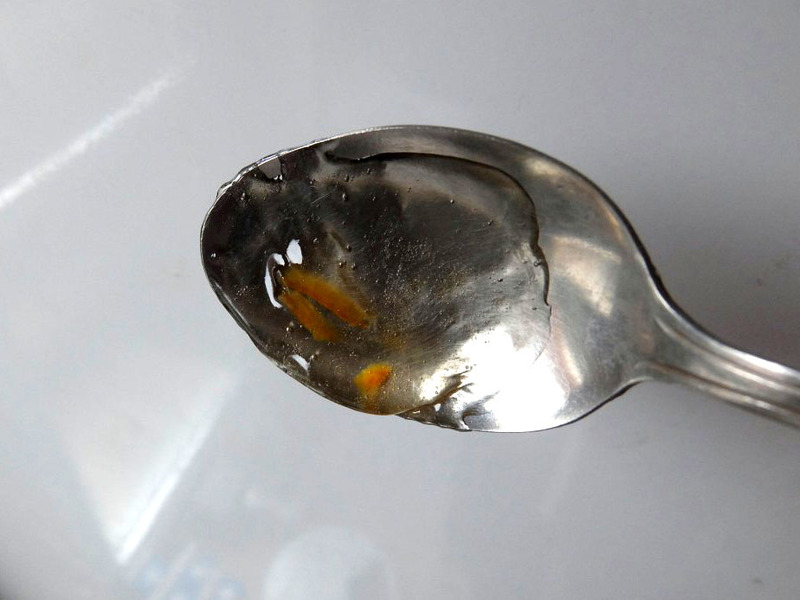 A similar method to the wrinkle test is the spoon test. Using this method of checking the set point you will want cold spoons so place them in the fridge before starting. To check the set point using the spoon test you need to watch carefully at how the jam behaves when tipped from a spoon. It is a little harder to tell if there is a lot of fruit in your jam but is still effective. 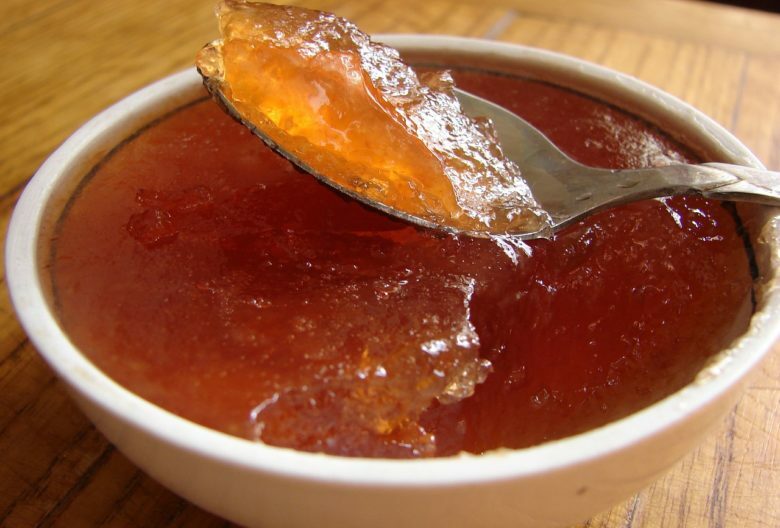 The jam will run off the spoon in a flake or sheet rather than as a liquid in drips. This is what you need to look for. The most reliable and accurate method is to use a thermometer first of all, it is well worth investing in one if you make jams, jellies or marmalade every so often, however, the two other methods described here will still work and with experience you will know when you have reached the setting point every time.